In a move to help bring robots to an affordable retail price, Intel has announced a brand-new robot: Jimmy! 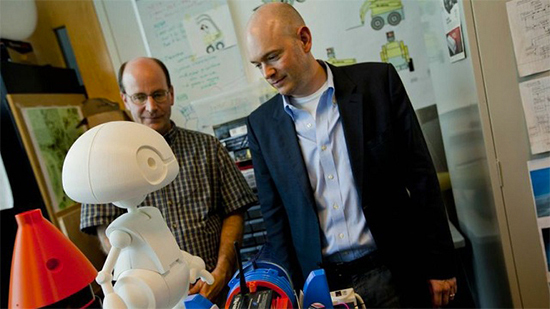 Jimmy is a robot that able to walk, talk, move its arms, dance, and more, and is made up of primarily 3D-printed parts! Intel says that the robot will come in two special varieties: a $1,600 retail consumer version that will run on the Intel Edison chip, and a $16,000 research version, which will run on a more powerful Core i5 processor. The robot itself will be sold as a kit, featuring the few non-3D printed parts to robot such as motor, batteries, processor, and wiring, but the rest of the robot will be made available online for consumers to download and print at home. Intel states that the Jimmy setup kit will be made available to purchase by the end of 2014, and will be fully customizable trough the use of apps to make your Jimmy into your own personalized buddy!